Robin Ho Smartrade: Yangzijiang - Testing the upper end of downtrend channel for the 5th time. Could breakout from the downtrend. 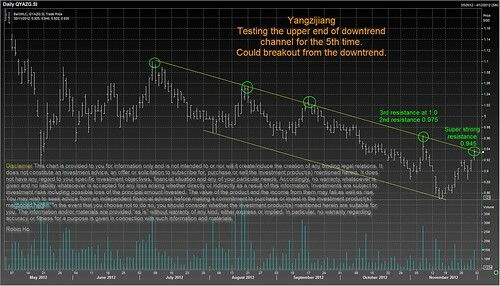 Yangzijiang - Testing the upper end of downtrend channel for the 5th time. Could breakout from the downtrend.